Under a new bill being considered in the legislature of the rural U.S. state of Kentucky, Bible classes would be permitted to be taught in public schools. 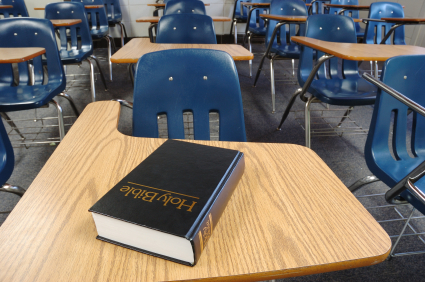 A similar bill on teaching the Bible in schools is being mulled in Arkansas. On the surface, it would seem that the bill does not constitute government endorsement of religion, but, if we think a little more critically about exactly what the bill allows, we realize that it only reinforces a provincial, Christian worldview on students who already know next to nothing about other nations, cultures, and belief systems. 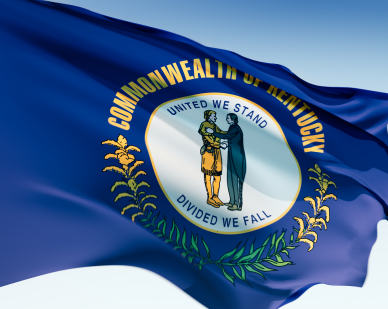 At present, the measure, known as Senate Bill 56, is not yet law, but it has been approved by Kentucky’s Senate Education Committee Thursday, 3 February, but it has yet to go to the full Senate for consideration. The Associated Press reports that a similar proposal was “overwhelmingly passed in the Senate last year but died in the House”. It remains to be seen whether the House will again vote down the bill. According to the drafters of the proposal, the public school Bible classes would be optional—students would be able to take them as electives if they so chose. While the bill seems to protect non-believers from religious imposition, it still reflects religious bias. Supporters of the bill will immediately proclaim, “See? The classes would be optional, so the government is not force-feeding religion to students.” True, but this is a red herring. The real problem is not with the fact that Bible classes would be available—it is with the fact that only Bible classes would be available. What about the teachings of other world religions? The bill does not outline any means of implementing curriculum development reflecting the tenets and doctrines of non-Christian belief systems, such as Buddhism, Judaism, atheism, Islam, paganism, or Hinduism—it only mentions Bible classes. If civil government—whether national or sub-national—is, in good, rational theory, charged with the task of passing only secular, religiously neutral legislation, the Kentucky Senate Education Committee is moving in the wrong direction. The reason for this is that it provides only a Christian option for public school religious electives, and no other form of commentary on God and religion. Such an act clearly constitutes religious bias, in clear contravention of the principle of secular impartiality. In order to be fair, the Kentucky legislature cannot pass a law permitting only instruction in the Bible—it must pass a law permitting instruction in other sacred texts, too, such as the Koran, the Bhagavad Gita, the sacred texts of Buddhism, the Latin Vulgates, pagan and Wiccan writings, and even atheist literature. However, because the bill as currently proposed offers only instruction in the Bible, the Committee fails to meet its legislative obligation to offer a fair and balanced selection of elective courses. But blatant religious bias is not the only problem with the Kentucky bill—there is also a lack of respect for the purpose of education. The whole point of education is to learn new things, not just to hear what one wants to hear. Most Kentucky public school students already understand the core elements of the evangelical Protestant faith tradition, so offering them an elective which merely reaffirms what they already understand, but not an elective which challenges them to re-think their understanding, is pointless. If children grow up learning that the first woman was made out of the rib of the first man, they should also grow up learning that microbes develop resistance to antibiotics as the result of evolutionary adaptation. Students should, in short, be given a fair opportunity to compare the evidence critically. They do not have this opportunity when the only elective available to them is a Christian-based one. What is the solution, you may ask? As hinted above, the Committee could recommend additional courses on other religious texts, but this might be a little impractical. There are just too many holy books out there and too few resources to offer a course for each one. We seem reduced, then, to two options: comparative religious instruction, or no religious instruction whatsoever. In a comparative religion survey course, different units would cover different religious texts in a purely objective manner. That way, students can get a taste of different religions—including non-religion—without being told that one is better than another. Then there is the “silent treatment”, as it were. Admittedly, even from a purely objective and scholastic standpoint, religion is a widely observed phenomenon of human nature—it informs much of history and literature—so it might seem a bit churlish to ignore it entirely. As a compromise, then, perhaps public school teachers might explain its influence when it is relevant to the subject matter, but from a purely detached standpoint. In short, the solution might be to treat silence as the default approach, and impartial analysis as the ad hoc approach. But isn’t this what we already normally do in schools? Why fix what isn’t broken, then? As mentioned above, the measure has yet to gain full approval from both chambers of the Kentucky legislature, and a similar one failed in a previous vote, so there is still a chance this one will fail too. A strong belief in the secularism of civil government, as well as a pluralistic representation of all belief systems, has always been at the core of ULC Monastery’s ecclesiastical canon law, so we are watching the events in places like Kentucky and Arkansas with wary eyes. It is not good enough for the Kentucky Senate Education Committee to say, “Oh, students don’t have to take the Bible class, because it’s an elective”, because they still do not offer alternative electives on religious texts. If they must have their Bible classes, they must also offer electives that represent the tenets and doctrines of other belief systems, including non-religious ones.